In Episode 60 we feature a two part interview with Kate Larson who is the brand new editor of the expert spinning magazine – Spin Off. 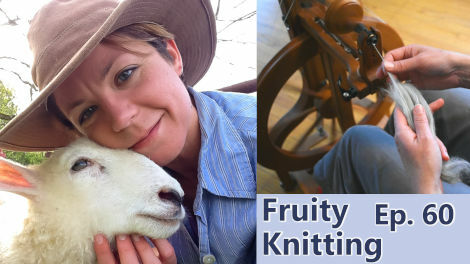 Kate is a highly knowledgeable fibre artist and shepherdess who has also published her own spinning book with Interweave. 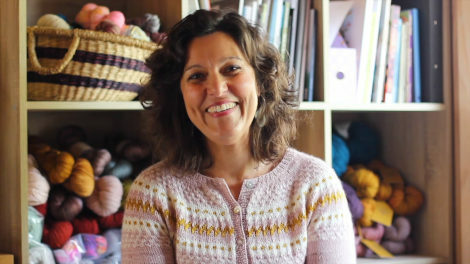 She is a very talented and generous teacher, who shares a lot of brilliant information with us that crosses over between the crafts of spinning and knitting. 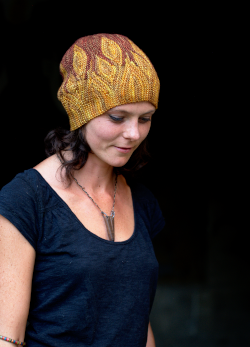 Our guest on Knitters of the World is the completely charming Libby from New Zealand, there is a mini tutorial from Andrea, project updates and two new KALs are announced! Kate Larson keeps a flock of Border Leicester sheep and teaches hand spinning and knitting throughout the States. 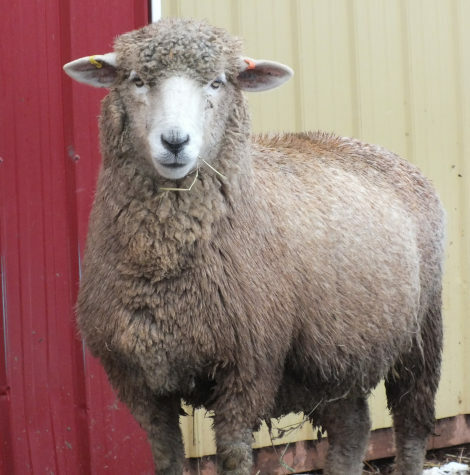 She has a very impressive knowledge of the different sheep breeds and what types of yarn and projects their fleeces are best suited for. During the interview Kate shares tips on how to select a good raw fleece to spin with and how to care for it and store it. 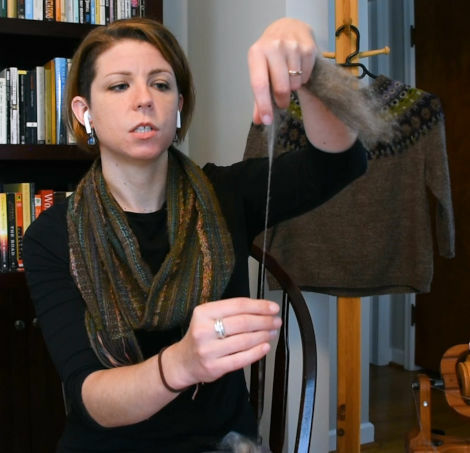 She also gives us a detailed description of how to spin worsted and woollen yarn and troubleshoots typical problems. This is an interview you will probably want to watch a few times, it’s so jam packed with info! 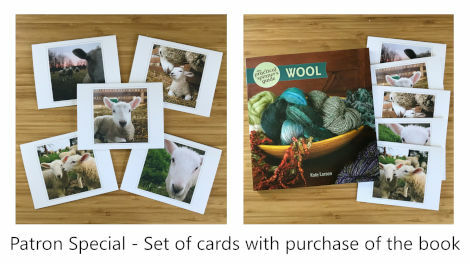 Kate is offering Fruity Knitting patrons a free set of cards with the purchase of her book The practical spinner’s guide – Wool. They are beautiful blank cards and envelopes made with recycled paper featuring photos of Kate’s own flock of sheep. All the details are at the Patreon site. Unfortunately we showed you the wrong sheep when presenting Corriedales during the interview. Fleece and Harmony have kindly sent us a picture of a real Corriedale for you all to see. And what a handsome sheep it is! Libby lives just outside Auckland city on a piece of land with her husband and 4 kids. 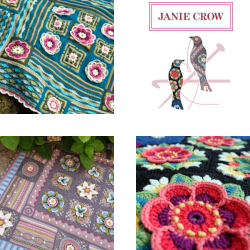 After a very long stint living in London and Cambridge she’s now enjoying her peaceful rural life being a mum and designing hand knitting. Libby is a natural in front of the camera and has recently started her own YouTube channel after blogging since 2012 and having a regular audio podcast. 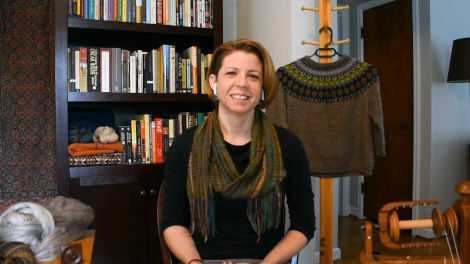 She has a large collection of shawls in her Ravelry store and her garments include a wide range of sizes (30″ bust up to a 58″ bust). 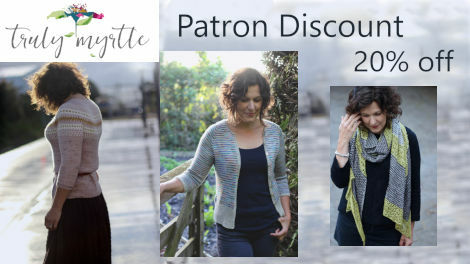 Libby is offering Fruity Knitting Patrons a 20 percent discount off all self-published patterns available in her Ravelry store. This offer is valid until 16 September 2018, full details here. 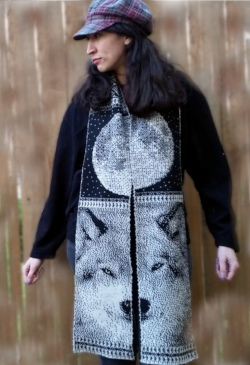 In this KAL you are encouraged to knit a garment (adult size) for a special man in your life; your partner, son, brother, father, friend or if you are a man, for yourself. By starting now you will have your Christmas present covered for that special man. The KAL will date back from August 1st and will go until Christmas day. Our second KAL is one that Andrew particularly likes. He really needs a pair of finger-less mitts to wear when we are out in the freezing winter snow trying to fiddle with the knobs on our camera and drone to take our #ExtremeKnitting footage. Here you can enter with any gloves or mitts of your choice; plain or stranded, traditional or funky and it will go from now until Christmas day. And of course you can enter as many times as you like! 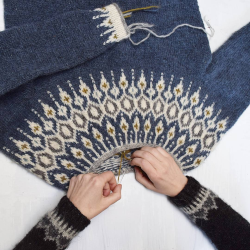 Andrea is working on the Mohr by Norah Gaughan, using the mYak Baby Yak Medium. 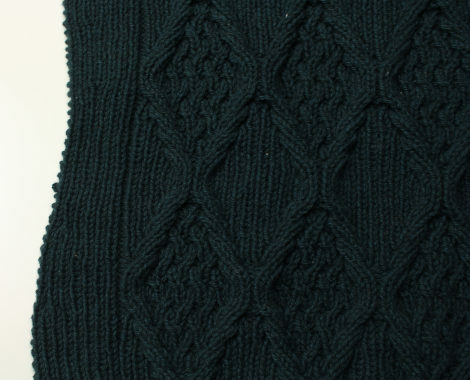 Andrew is working on the Carbeth Cardigan by Kate Davies. 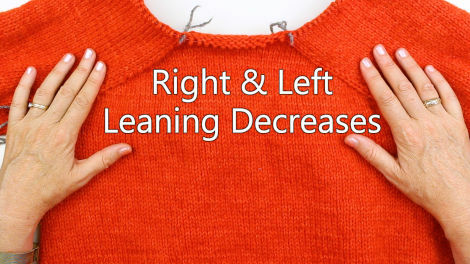 Since it is interesting to compare how you create right and left leaning decreases both on a knit row and a purl row, Andrea has done the quickest tutorial showing that. Patrons can find the tutorial here. Scarborough Fair, Traditional, arranged by David Downes, performed by Andrea Doig, with Ilona Sandor (piano) and Nils Nolte (flute). Copyright Leiselaut 2010. Hello, I seem not to have had my email notification of episode 60. 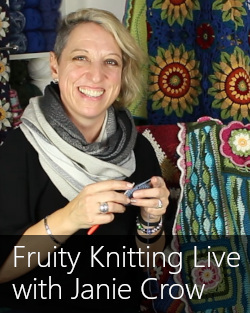 I have had the tutorial and Truly Myrtle and Kate Larson but no Fruity Knitting podcast number 60…!!! I am a bit worried that you have lost me. I am an early Patreon subscriber all be it for £5. I do so look forward to Tuesdays. Regards Jocelyn Poole. Hi Jocelyn. We haven’t lost you. Like you said, you got the tutorial and the discounts. We were just a little bit late with the post for the Episode – but it’s there now! Thanks for your support. Andrea and Andrew. I have been binge watching the episodes and could tune in anytime I wanted. I am now caught up and am excited to participate in the KAL. Downside is now I have to wait 2 weeks for the next episodes. Upside is the past episodes can be rewatched whenever I need to refresh myself. I would like to have the complete informations for both KALs, but the links don’t work. Is it because I don’t have an Instagram account? Hi Nicole. 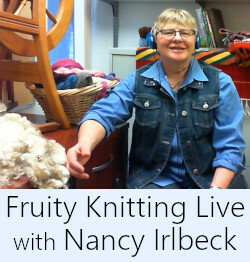 We now have threads up on our Ravelry page: ravelry.com/groups/fruity-knitting-podcast (Not sure whether you’ve already found it there…) Cheers, Andrew. I too am trying to catch up with all the episodes. Up to No. 10 now. Still a long way to go, but all of them are so interesting and inspiring. Truly Myrtle was truly lovely. Yet again, many many thanks for another wonderful episode. Every episode is beautiful and informative and we all gain so much in the way of inspiration, knowledge and encouragement. We all gain when the knitting world grows through such podcasts. As such, I find it amazing and so disappointing that such a small percentage of subscribers have become patrons. Come on subscribers, take the next step and become supporters of Andrew’s and Andrea’s great work. I truly enjoy each and every episode of FK. Thank you from the bottom of my heart!